DANAT Jebel Dhanna Resort in Abu Dhabi has opened 24 newly built beachfront chalets to cater to tourists from Germany, United Kingdom and neighbouring GCC countries such as Saudi Arabia and Qatar, while attracting new markets such as Scandinavia, China and CIS markets. The project is a part of the expansion of Danat Hotels and Resorts, the hotel management division of National Corporation for Tourism and Hotels, to meet the travel demands and requirements of these key markets. 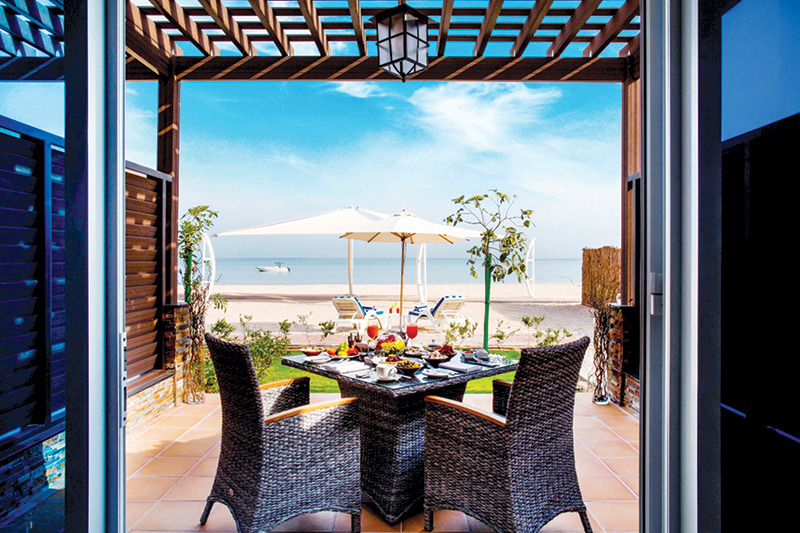 In addition, the chalets with a white sandy beachfront of 800 metres and clear azure waters would reflect the brand's diverse and distinctive collection of UAE resorts, offering individuals and groups from the travel segment absolute privacy and a complete holiday experience with mesmerising views of the Arabian Gulf in a relaxed yet refined ambience. For the last few years, Danat Jebel Dhanna Resort's main focus has been on the corporate segment with a concentration on the oil and gas industry due to its strategic location and proximity to the industrial hub of the city. "Furthermore, the resort proves to be an ideal stopover for the GCC market offering travellers and their families a home away from home in luxury and style. The new chalets with elegant contemporary details that blend the comfort of life with coastal charm will also cater to the next generation of travellers and families who want to combine work and relaxation as well as demand style and substance,” he added. Danat Jebel Dhanna Resort has a wide range of facilities to offer including a temperature controlled swimming pool for adults and kids, a fitness centre, two floodlit tennis courts, an indoor as well as an outdoor kids play area.